We examine the Corpus Juris Civilis and the Hagia Sophia. 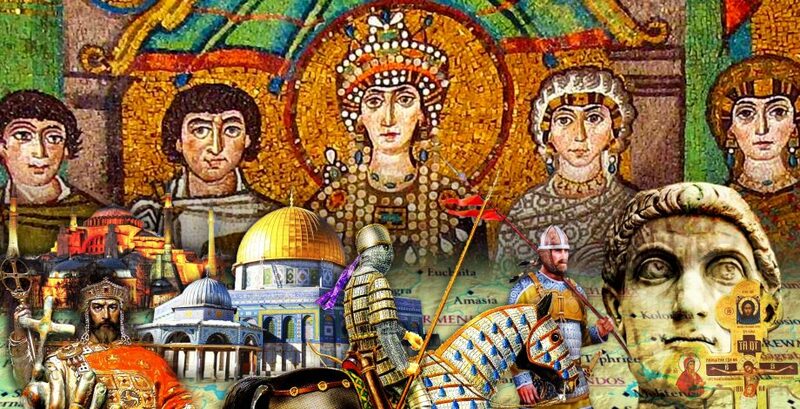 The two achievements of Justinian’s reign which outlasted both him and the Byzantine Empire. First we look at the law code which Tribonian put together and hear about its surprising second life. Then we marvel at the construction and impact of the new Cathedral Church of Constantinople. Other resources: If you are interested in reading parts of the Corpus Juris Civilis yourself, there is an English translation here. Thanks Robin, another great installment! The law code of the state of Louisiana (part of the territory purchased from France by the USA in 1803) is also based on the Napoleonic Code and thus the Juris Civilis. This has been my favourite episode so far. 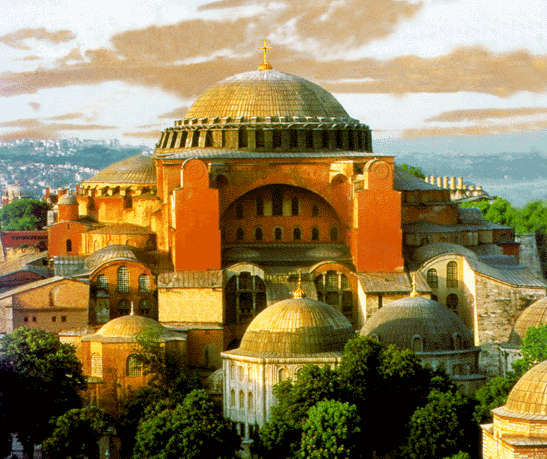 That said, I must make a confession: the Hagia Sophia is what sparked my original interest in “Byzantium” (and it was kindled by John Julius Norwich). Even today (well, about 15 years ago to be honest), a millenium and a half later, there is something very special about standing inside that space. Please (a) keep up the outstanding work, and (b) put a Paypal-linked donate button somewhere on the site. Have you thought of doing special paid-for non-narrative episodes (if that makes any sense)? The History of English podcast recently did a history of the alphabet breakout for $USD 6 (or $16.99 that the iTunes store tried to rip us off for in Australia!). I was happy to kick in, and to be fair the content was fantastic. Always easier for people to donate if they think they are getting something for it. Please add your podcast to the Xbox music store so that it is available on Windows Phone 8. Love it. Hello. I am catching up with your old episodes, and I thought this one was particularly excellent. I visited the Hagia Sophia a few months ago and am wishing I had heard this podcast before I went. Thanks for the excellent work. In the podcast you talked of “British” law being based on Common Law. There is no such thing as “British” Law; Common Law applies to England & Wales, Scots Law is based on Roman Law. I’m rather far behind everyone and trying to get caught up. After learning about the Hagia Sophia, when I was 12, it became a life goal to see it some time. When I finally made it six years ago, I wasn’t disappointed. It is simply stunning. I would give a lot to be able to see some of the nooks and crannies of the place that aren’t open to visitors too. Though I knew some Byzantine history before our visit, it would have been great to know more before we went. Thanks for filling in some of the large gaps in my knowledge of the age.